3 Days Nyungwe national park tour gives 2 nights in Nyungwe forest national park, an ancient rain forest home to 13 species of primates including chimpanzees, 275 tropical birds, and more than 70 mammals. This tour gives visitors a chance to experience the landscape and wildlife of Nyungwe forest. Highlights of this include the chimpanzees, waterfalls, cultural visit at Butara or Nyanza. Transportation in 4WD vehicle with guide and drinking water is provided. After breakfast, you depart Kigali with your guide to southwest side of Rwanda the most important biodiversity area –Nyungwe forest national park. Before you get there, you will make a brief stop at the Ethnographic museum in Butare or Nyanza king’s palace. You will learn Rwandan history and culture before and after colonialism and also have lunch. Thereafter your trip goes through plantations to your accommodation: Nyungwe forest lodge (luxury)/ Gisakura Guest House (budget). After registration with the park, you will relax for dinner and overnight. Early morning after breakfast, prepare for a nature walk to Kamiranzovu waterfalls. Have your camera and binoculars. Enjoy the sights and sounds of Nyungwe rainforest you may spot species of birds and primates. The guides will share with you about the plant life. Return for lunch and in the afternoon go for a canopy walk which gives you the view of the whole park. After breakfast early morning, you will transfer to cyamudongo forest where you start your chimpanzee tracking adventure. 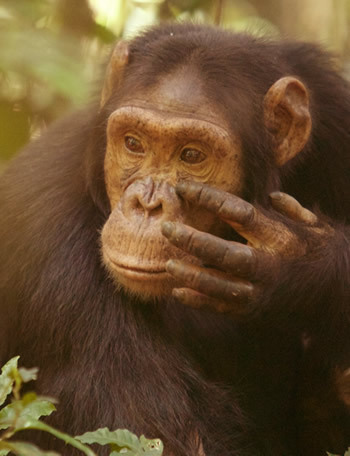 It unforgettable wildlife experience to see your cousins the chimpanzees and after return for lunch and transfer back to Kigali.